As traffic snarls grow and public transit headaches multiply, commuters in the nation’s capital and elsewhere may be deciding to be healthier and to hoof it or pedal their way to work. But other folks aren’t making alternative means of transportation safer or better for pedestrians or bike riders. Motorists clearly need to take greater caution and exercise more patience in sharing streets with those on foot and bikes, foundation officials noted, adding that the need to do so has skyrocketed as more Americans choose for health and other reasons to get around in time-tried ways that also can improve individual wellness. Foundation officials reminded drivers they have legal and moral reasons to act responsibly and to stay at the scene if they hit a biker or pedestrian, and to assist the injured, and call for help. 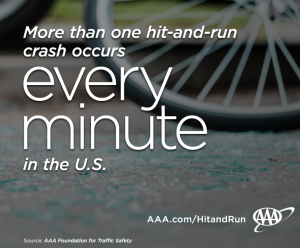 “While no one likes being involved in a crash, leaving the scene will significantly increase the penalties for drivers- whether they caused the crash or not,” Jennifer Ryan, director of state relations for AAA, said in a statement. The foundation noted that all states have laws that make it illegal for an involved driver to flee the crash scene. State penalties vary depending on property damage, injury, serious injury or a fatality. If convicted on hit-and-run charges, drivers can face major fines, lose licenses, or spend time in prison. The group has offered a handy summary of hit-and-run laws in the states. In my practice, I see not only the significant injuries that patients suffer while seeking medical services but also the havoc that can be wreaked on them and their lives by auto, truck, or motorcycle wrecks. 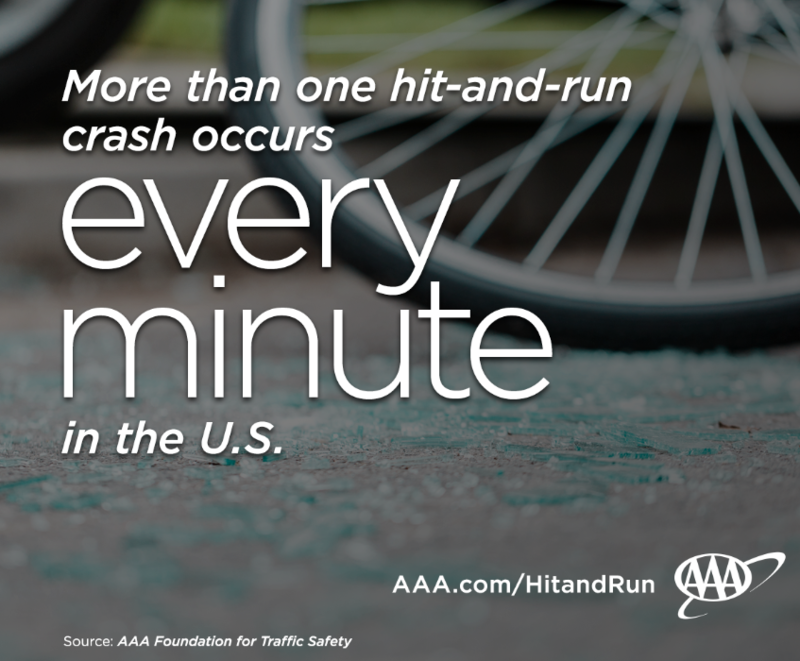 The AAA Foundation is offering wise and humane counsel for drivers to step up their patience, care, and responsible conduct with bicyclists and pedestrians. Hit-and-runs are unacceptable, as is the increase in their frequency and lethality at a time when it’s plain that working Americans need every option possible to get to work, safely and even in ways that might make them healthier. Research points to the wellness benefits that bike riding and walking can offer. It also may be more convenient and less problematic than doubters may think. Biking’s toll of injuries and other harms already was on the increase, without hit-and-runs factored in. But Washingtonians, in particular, have increasing reason to consider every commuting alternative, as the region struggles with giant stresses and strains of rampant road gridlock and frustrating delays, repairs, and upgrades to public transit. If the hordes of tourists and other visitors see working folks across the District, storming sidewalks and into offices, stores, and other places of business, well, they may be trying to get their heads back together after gnarly commutes. Breathe and try to relax, friends. Of course, the federal Environmental Protection Agency and the Trump Administration aren’t doing our collective health and well-being any favor with their relentless attacks on a range of laws designed to protect the safety and quality of the air we breathe (including for pedestrians and bicyclists inhaling tail pipe exhaust) and the water we drink and more. A whole separate blog ─ and more ─ could be devoted to what’s needed to protect the global environment. As late as the 1980s, air pollution regularly blanketed the metropolitan Washington region on hot and humid summer days. Breathing polluted air can pose health risks by causing irritation to eyes and throats. Pollutants like fine particles and ground level ozone can trigger respiratory problems, especially for people with asthma. Children, older adults, and individuals with respiratory and heart conditions are especially susceptible …. Air pollution also damages the natural environment such as trees, crops, wildlife, rivers, and other bodies of water such as the Chesapeake Bay. The region has made tremendous progress in its air quality thanks to more than a decade of actions at the federal, state, and local government levels, including new regulations to reduce emissions from power plants, passenger vehicles, and heavy duty diesel engines as well as programs to improve energy efficiency and renewable energy use. Ozone levels exceeded EPA air quality standards [on May 2] in metropolitan Washington, marking the first unhealthy air day—‘Code Orange’ day—for the region this year. [May 3 also was] forecast to be a ‘Code Orange’ day … This period of potential unhealthy air conditions coincides with Air Quality Awareness Week, a time to learn about the effects of ozone on health and urge residents to take action to reduce air pollution. … The region recorded just eight ‘Code Orange’ days in 2017 when air quality exceeded levels for ground-level ozone that are unhealthy for sensitive groups. We clearly have a ways to go to keep ourselves, our streets, and our environment clean and safe.